Hey Mama! 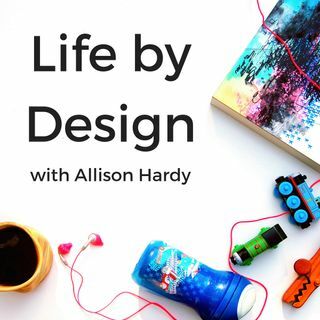 And welcome to episode #111 of the Life by Design Podcast with Allison Hardy! Today I have the pleasure of interviewing certified baby/toddler sleep consultant, Lynette Harper. She is a mom to two kids, the oldest being her inspiration for becoming a sleep consultant. She has a passion for helping parents overcome their exhaustion by teaching their little ones safe and healthy sleep habits. Seeing other parent's lives become much easier, more relaxed and restful is one of ... See More the best things about her job. > Lynette stumbled across becoming a sleep consultant after her oldest was a TERRIBLE sleeper. After seeing amazing results in her daughter’s quality of life and her own, she become passionate about helping others get the sleep they desire and need. > For Lynette “having it all” means having a happy family and a comfortable home to raise them in and to welcome others in. > When her daughter turned one, Lynette started to lose herself in her life as a mom. At first her business was just to help others, not to really create a business. But over time, and seeing the changes in other mom’s lives, she decided to leap into creating her business and pursuing her passion. > Something that makes Lynette a bit different than other sleep consultants is that she offers more than one sleep training methods, which accommodates multiple parenting styles.